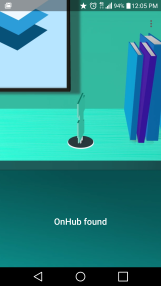 5 No Really, What Is OnHub? Google has been branching out into new areas of hardware in recent years. It bought Nest and Dropcam, and now the Google Store acts as a storefront for Google to push its own hardware, as well as products made by others. 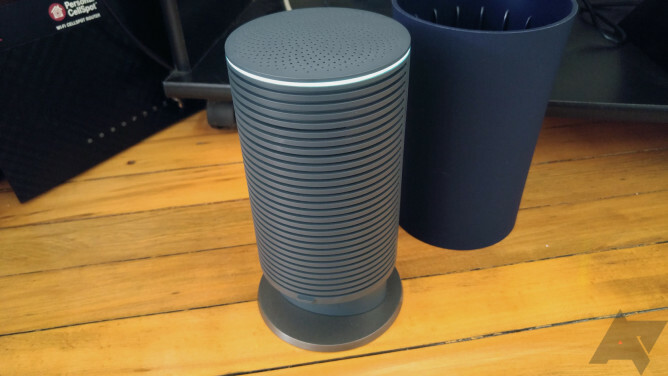 The OnHub was an unexpected twist for Google's hardware aspirations, though. It does make some sense when you think about it. Routers are usually ugly and annoying to use, but is the $200 OnHub the best way to fix that? 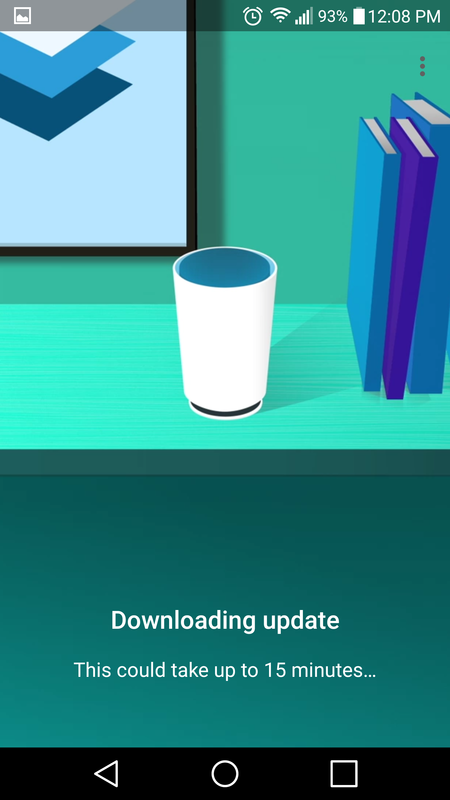 Google's OnHub is a router built in partnership with TP-Link. It's a small cylinder about 7.5-inches tall. The smooth shape is actually just a shell that fits over top of the core router, which is still a nice looking piece of hardware. There are no external antennas on this device. Instead it has an array of 13 antennas built-in. There are six for 2.4GHz, six for 5GHz, and one that monitors the wireless environment and switches channels as needed to minimize interference. On the back of the OnHub are the ports, of which you only get a few. There's a WAN port, a single gigabit ethernet network port, power, and a USB 3.0 (more on that later). The indicator lights from most routers have been replaced by a single glowing ring on top of the OnHub. The color of this ring tells you what's going on, but it's mostly going to be light blue. That means everything is cool. We don't usually review routers on Android Police, but this one happens to be intimately linked with your mobile device, and it is Google. I don't consider myself a particularly advanced user of networking equipment, but I'm more demanding than the average man on the street. I'm not going to try and quantify all aspects of the OnHub and compare it to other routers—there are websites that already do that sort of thing quite well. 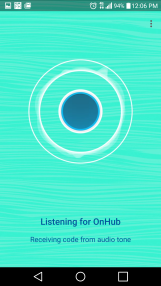 I want to talk about what it's like to use the OnHub with a ton of mobile devices and how it integrates with them. 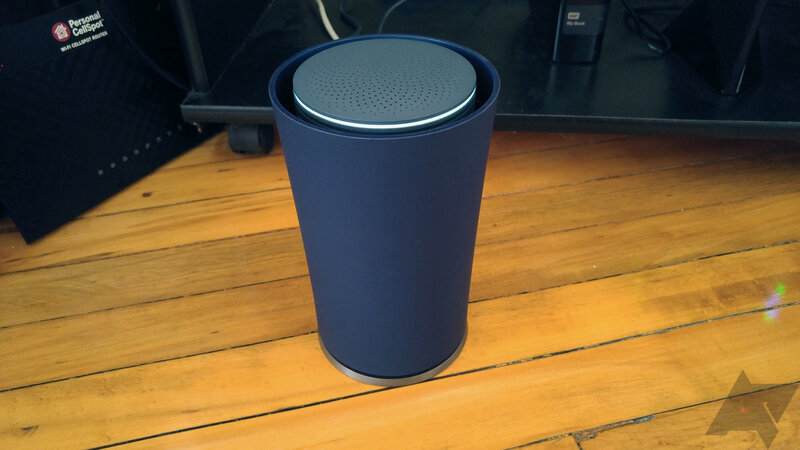 As soon as you plug in the OnHub, the experience is vastly different than other routers. Instead of bumbling around in a god-awful web interface to get things set up, you download the Google On app. This is a nifty way to interact with your router, and the design is slick. The phone and router pair with an audio tone produced through the router's speaker (that's all it seems to do right now). The entire setup process takes barely five minutes. 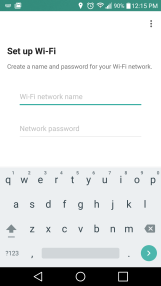 After the phone pairs with the router you choose a network name and password. That's pretty much it. 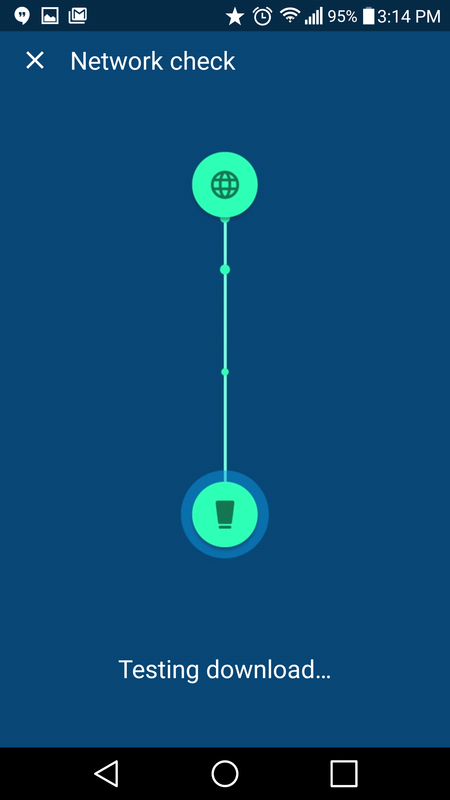 The OnHub verifies your internet connectivity and you can begin logging into your new network with other devices. I think the setup process is the smoothest of any router you can buy. I'd be confident in my parents getting the OnHub up and running without any phone calls to me. Whatever else the OnHub does or doesn't do, that's an impressive feat. 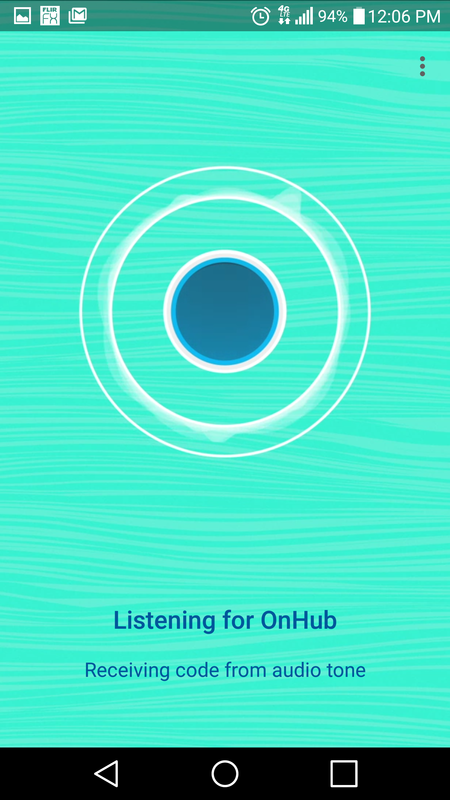 The app is my favorite part of using OnHub because it takes a lot of useful features of high-end routers and makes them accessible so you'll actually use them. 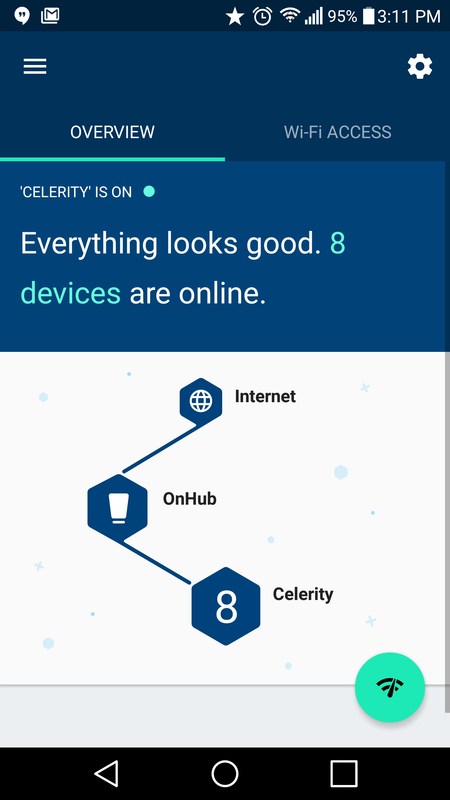 For example, when you open the app, you get a full status report of your network. You can see connectivity between the router and the internet, as well as between the router and your devices. 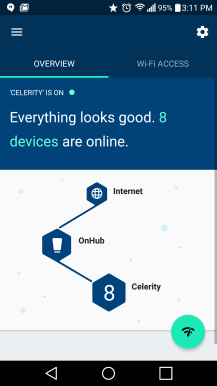 If you tap on the network diagram, it lists all the devices currently connected. The connection list shows you the network activity of each device and lets you configure a priority mode for any of them. 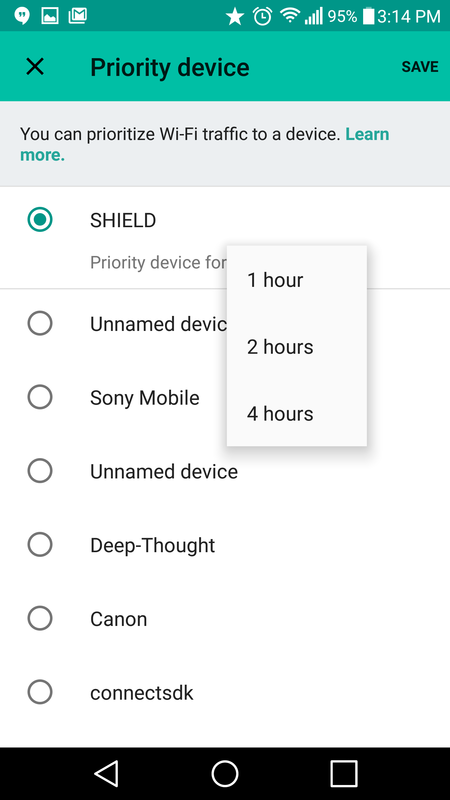 This is great if you're going to be using one device for some heavy downloading and you want to make sure the rest of your network doesn't get in the way. I've used this a few times on devices that were having buffering problems with a video stream, and it seemed to help. 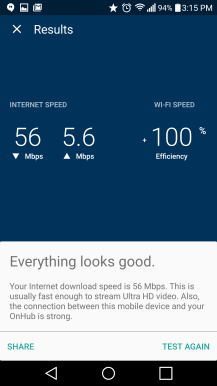 There's also a built-in speed test feature that measures speeds between the router and the ISP and between the router and your phone/tablet. That's handy for troubleshooting. One of my main problems with the app is that it seems to pick strange names for devices and you can't change them. I have three entries for "unnamed device" and two "connectsdk" right now. Even phones and tablets that let you specify an ID for wireless communication show up with something completely different. This makes it rather difficult to make use of some of OnHub's priority features. Deeper in the settings you've got things like port forwarding, DNS (it defaults to Google's servers), WAN IP, UPnP, and more. You won't get as many settings as you get with other $200 routers, though. Hey, at least you can change the brightness of the light and restart the router from the app. Management of your OnHub is connected to your Google account, so you can quickly connect with another device and access all the same features. You don't even have to be at home to monitor and control your network. Additional network managers can also be invited, but they too have to download the app to control the OnHub. There's no web interface at all. 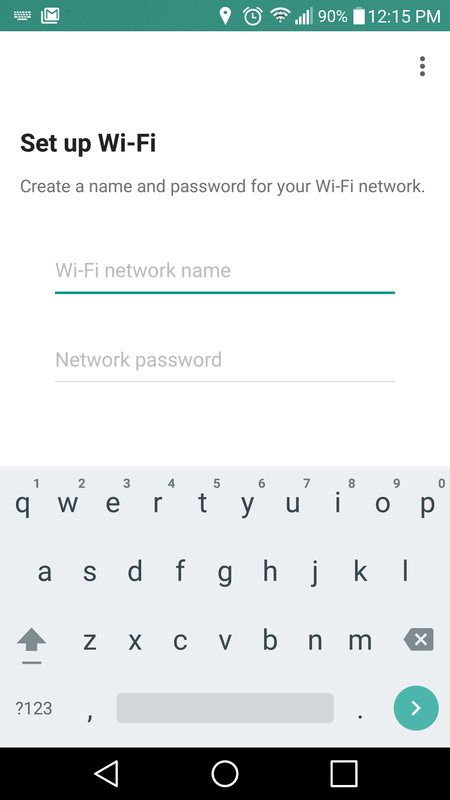 If you just want to let someone connect to your network, there's a password screen in the app with easy sharing options. 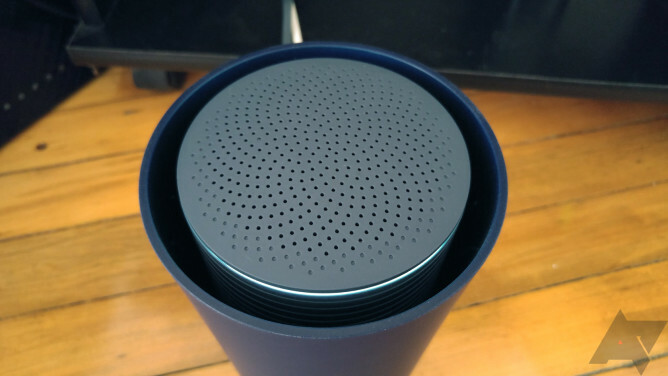 One of my primary concerns about OnHub is that it doesn't feel entirely finished. There are features that simply don't work yet, although they might work later. Google will push updates to the device automatically to improve the experience. That's great, but for the time being I'm stuck looking at a USB 3.0 port that doesn't do anything. I don't ask for a lot from a router, but having a network hard drive is important to me. That's how I make backups of my computers, but right now it's just sitting there unplugged. If Google doesn't turn that on at some point, I'll probably have to rig up my old router as a switch and use that USB port. Speaking of switches, you might want to get one. As mentioned above, OnHub only has a single gigabit ethernet port. If all your devices are wireless, great—you don't need to do anything. 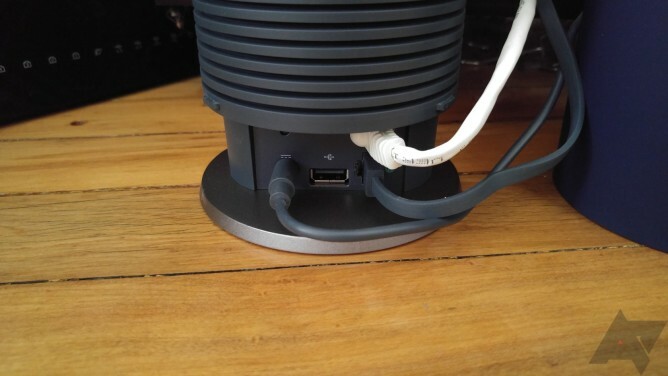 If you have computers or other devices that are hardwired, you'll need a switch plugged into that single OnHub port. I suppose I get why Google did this. OnHub is a router for the masses, and most people don't have any devices connected to a router via ethernet. OnHub also has support for Google's Weave smart home framework, Bluetooth Smart, and 802.15.4 (Zigbee). That's cool, but guess what? Yep, none of it works yet. Will it eventually? I'm sure it will, but you won't pay any less for the OnHub in the meantime. Okay, enough of the extra stuff—this is a router, right? So how does it, um... route? In my non-scientific opinion, very well. 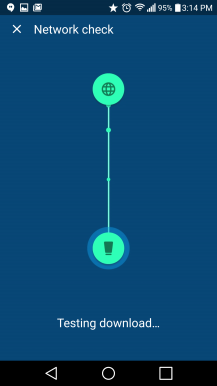 The range of the OnHub is extremely good. With my old router (a T-Mobile Asus CellSpot) I would get spotty coverage in my garage, but the OnHub seems more solid out there. I don't know if it's just more powerful or if the congestion-sensing has chosen a better channel. Either way, I'm happy about that. The OnHub is a dual-band 802.11 a/b/g/n/ac device, but you don't need to manually configure bands and frequencies like other routers. This is another reason I'd trust my parents with it. There's only one SSID for the OnHub and it chooses the network protocol for each device automatically. 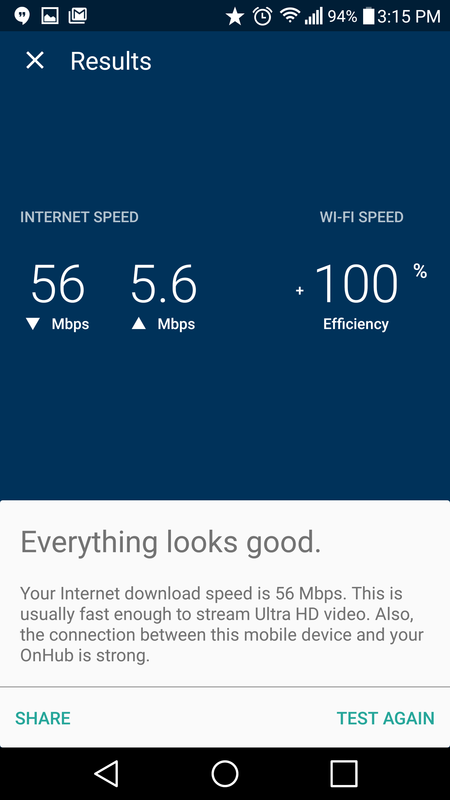 I have relatively modest Chromecasts and modern 5GHz phones on the same network, and both seem to work fine. Well, mostly fine. 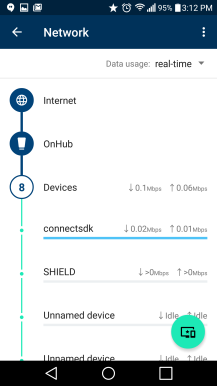 I have run into a few issues where the OnHub for some reason decided a phone that is capable of 5GHz AC should only connect on 2.4GHz N. I have no idea why, but the issue corrected itself after a few hours each time. 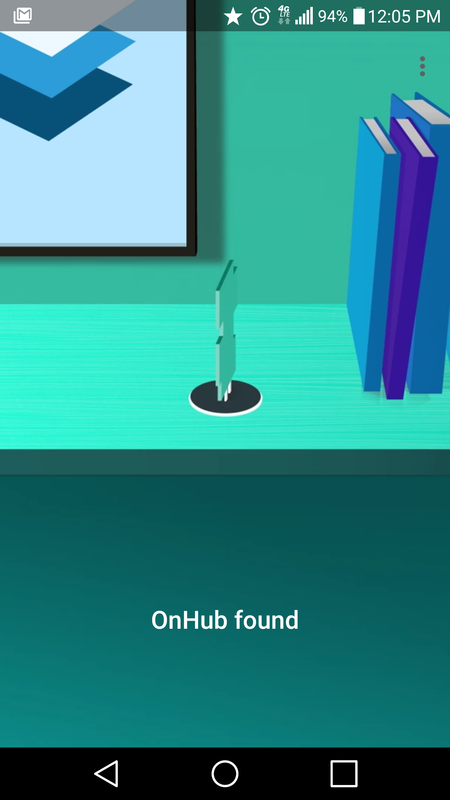 No Really, What Is OnHub? Maybe in a few months OnHub will be an unparalleled good deal with excellent wireless performance (already there), home automation support, and a working USB port (ಠ_ಠ). That said, it would be hard to go back to a router that doesn't have a great mobile app. 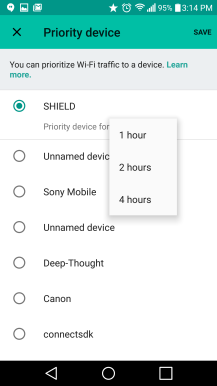 Being able to prioritize devices and quickly test network connectivity is nice. I just wish I could change the device names. So should you buy a $200 OnHub? Maybe. You have to know what you're getting into. If you have a lot of wireless devices and live in a congested wireless environment, you might really benefit. However, you're paying for features that aren't there yet. There are more powerful and functional $200 routers, but none that are quite as easy.